Lahore is the cultural capital of the country and Alhamra is the heart of Lahore. It was designed by illustrious Architect Mr. Nayyar Ali Dada and is located on Mall Road that has been renamed as Shahrah Quaid-e-Azam. 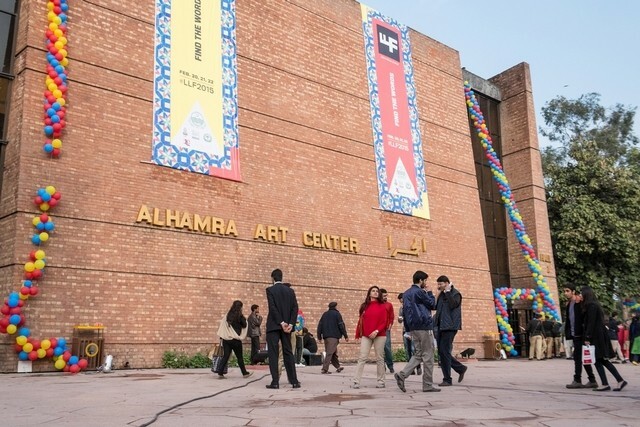 It is also called as the Alhamra Hall, Alhamra Arts Council, Lahore Arts Council and Alhamra Art Gallery. Alhamra Arts Council offers various artists of all genres with space and opportunity to their art. There are six theatres and auditoriums that arrange various programs in areas of music, concerts, seminars, lectures, drama, workshops, award ceremonies and school functions. Its art gallery is the largest in the province that arranges art shows whole of the year. It also has an academy conducting music instruments learning courses including guitar, tabla, flute, violin, harmonium and sitar. Sufi Mehfil is the first fundraising event by Read Pakistan to raise funds for the second phase of the history’s largest campaign of 100,000 school libraries envisioned and initiated by its chairman Sir Farrukh Dall, (a noted lawyer and Assistant Attorney General for Pakistan). 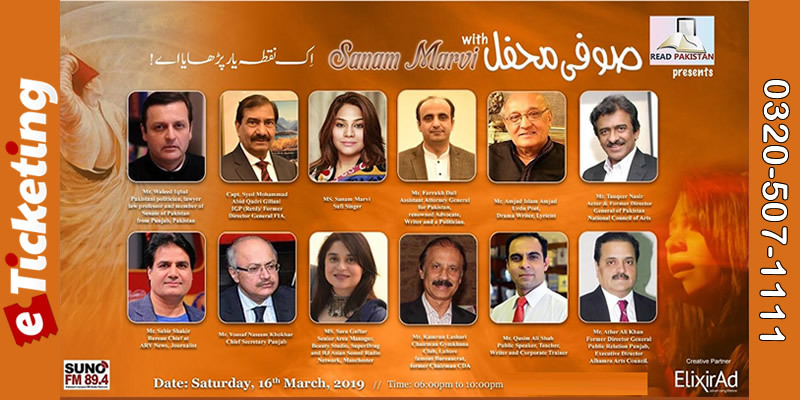 Sanam Marvi, a renowned Sufi Singer and one of the giants of Sufi Music will perform in the event to support the cause. xiii. Qasim Ali Shah (Motivational Speaker, Trainer). READ Pakistan is a Trust registered under the Trust Act, with a team of highly professionals motivated for an educated Pakistan moving ahead on creation of reading facilities accessible to all and to train teachers / librarians/ parents to develop a greater emphasis on reading habits in the children/parents coping up with present and future challenges. Terms & Conditions : All Rights are Reserved by Organiser. Best Viewed at 1024 x 768 pixels and above. This Page loaded in 0.09876 seconds on Tue, Apr 23, 2019 (21:38).